The president of federal republic of Somalia Hasssan Sheikh Mohamud leading delegates is heading to Baidoa, the headquarters of Baidoa to attend the inauguration ceremony of the elect president of South West Somalia Sharif Hassan Sheikh Adan. Preparations of the inaugural ceremony of the newly elected president Sharif Hassan are underway, the security of the district was tightened as government forces and African Union peace-keeping troops patrol the main roads. 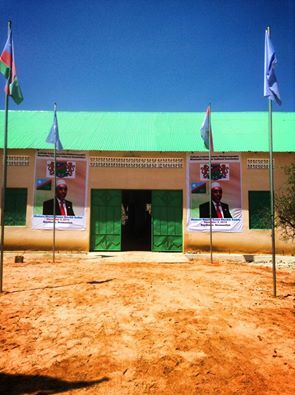 Sharif Hassan was elected as the first president of South West Somalia on 17th November in Baidoa. DHAGEYSO: 3-December Maxey Dadka Soomaliyeed Ku Xasuustaan?